Il package WinROAD è un potente strumento software finalizzato alla risoluzione di problematiche topografiche, di modellazione 3D del terreno, di progettazione stradale e di progettazione di reti tecnologiche. 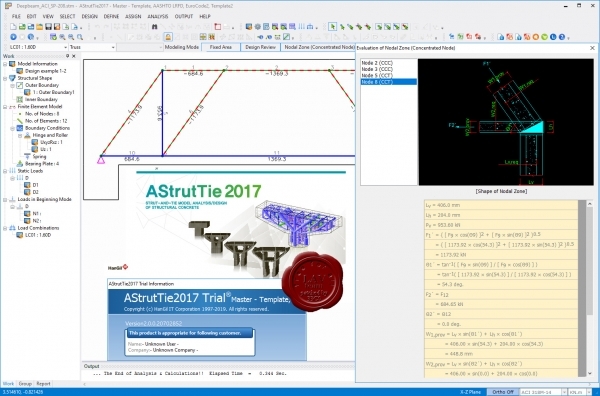 Winroad si interfaccia e si integra con gli altri programmi della STS costituendo un Ambiente di Progettazione Integrata (A.P.I.) che permette la gestione unitaria ed automatizzata di tutte le fasi progettuali di un opera. WinROAD vanta, tra le tante caratteristiche, alcune innovative peculiarità. 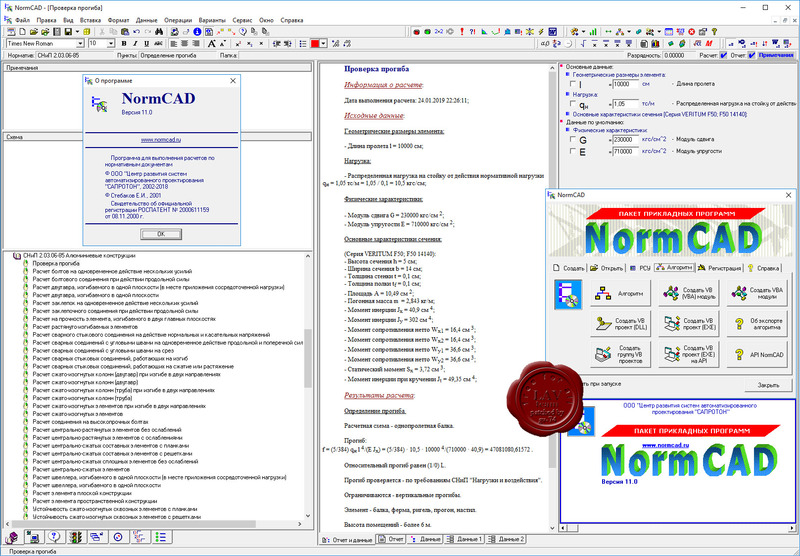 Una di queste è senz'altro quella di essere un applicativo di WinCAD, un potente CAD tridimensionale a 32 bit appositamente sviluppato dalla STS per il disegno tecnico ingegneristico. Ciò consente all'utente di "miscelare", secondo le proprie necessità, i comandi della procedura stradale con quelli propri del CAD. Grazie a questa particolare caratteristica WinROAD consente di ottenere elaborati grafici altamente professionali, senza dover ricorrere a farraginose operazioni di interscambio di dati, tramite file DXF, tra la procedura stradale ed il CAD esterno. Программа служит для топографической, кадастровая съемкок, моделирование ландшафта, проектирования автомобильных и железных дорог. StrutTie is a strut-tie model analysis/design software for concrete members with disturbed stress region(s). It enables users to design corbel (bracket), abutment/pier footing, bridge pier coping (pier cap), frame corner, anchorage zone, simply supported/continuous deep beam, beam-column joint, PSC box, etc. The software supports U.S (ACI 318, AASHTO LRFD) and Europe (EuroCode 2) codes and specifications. 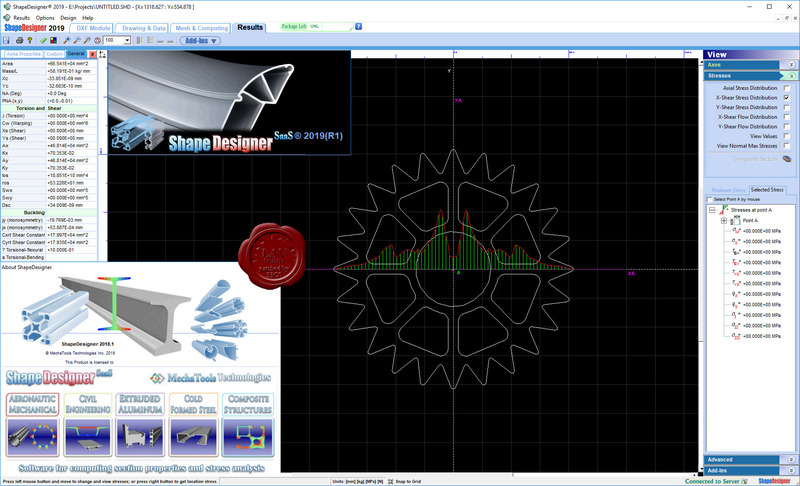 ShapeDesigner SaaS is an advanced general beam section calculator. ShapeDesigner calculates the cross-sectional torsion and flexural structural properties, including torsion constant (J), warping constant (Cw), normal, warping and shear stresses. These properties are absolutely necessary for the design in static, free vibrations, dynamic and buckling analysis. 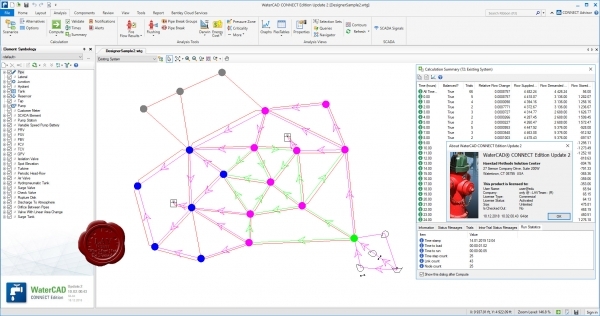 ShapeDesigner is a useful tool for structural engineers, for the design or analysis of steel, aluminum, and polymeric or composite materials sections. ShapeDesigner calculates the stress distribution including normal, warping and shear stresses, the equivalent Von-Mise, principal and residual stresses. FlexSim simulation software was built from the ground up to give you a truly immersive 3D experience. There is no better way to see what is happening in your system than to build it in 3D. FlexSim simulation software was built from the ground up to take advantage of today’s advanced 3D visualizations. Drag and drop objects into a virtual world. Create spatial relationships in your model to mimic your real life system. 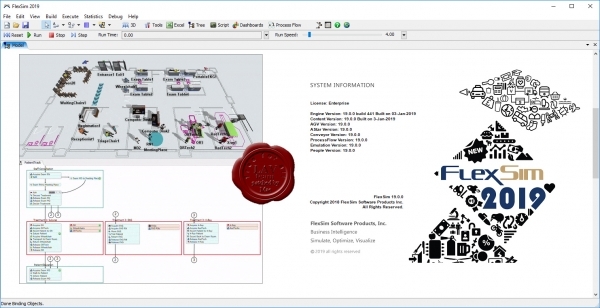 Include custom 3D shapes and CAD layouts. You’ll simulate not only the behavior of your real life system, but also the look and feel, allowing you to immediately see what’s going on. Many simulation packages are built on older 2D technology – with 3D post-processors tacked on as an afterthought. Not with FlexSim. FlexSim simulation software was conceived to be the most sophisticated 3D discrete event package ever created. FlexSim simulation software uses OpenGL, the same graphics library used in today’s hottest 3D games. Realistic spatial relationships, dynamic lighting, environmental effects, and more help make your models as realistic as you like. Build flypaths to guide your audience through the model. Add bullet points and slideswithin the model to illustrate important points along the way. Create a movie of your model to view and share. WaterCAD служит для проектирования и анализа систем водоснабжения от моделирования работы системы при пожаротушении и проверки качества воды, до учета энергопотребления и управления капитальными затратами. WaterCAD является готовым решением, что позволяет использовать его автономно, или в AutoCAD. Независимо от используемой платформы, программное обеспечение WaterCAD содержит единый набор файлов с данными модели для надлежащей функциональной совместимости с каждой из платформ. Автономный интерфейс предоставляет легкие в использовании инструменты компоновки модели, поддержку фона сложной структуры, утилиты преобразования из CAD, GIS и баз данных, а также неограниченное число уровней отмены и восстановления операций компоновки. Кроме этого, пользователи AutoCAD могут добавить функции интеграции AutoCAD для создания, компоновки и построения диаграмм моделей с прецизионной точностью в среде, которая уже стала для них привычной. Пользователи WaterCAD могут использовать рисунки AutoCAD, чтобы создать гидравлически связанную модель со связями между, базами данных, таблицами и собственно моделью. 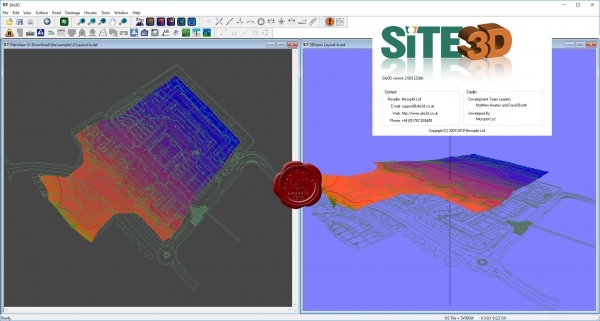 Site3D is a fully featured software product for the engineering design of road systems and housing developments. 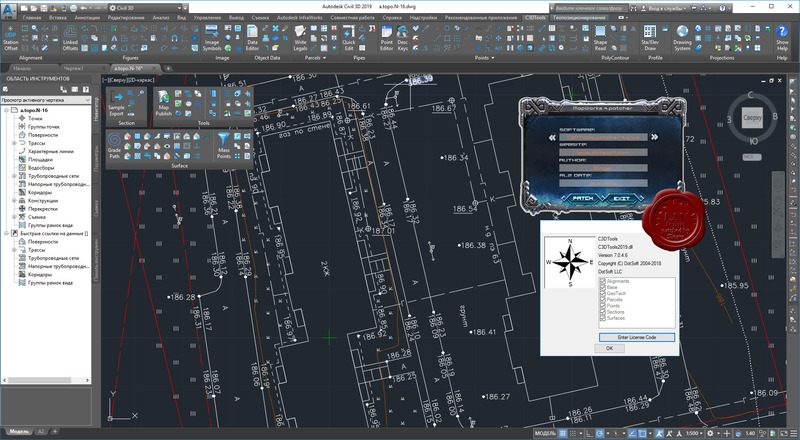 Quickly and accurately design whole sites including roads, junctions, roundabouts, footways, surface interfacing, contours, volumes, drainage, housing and more. 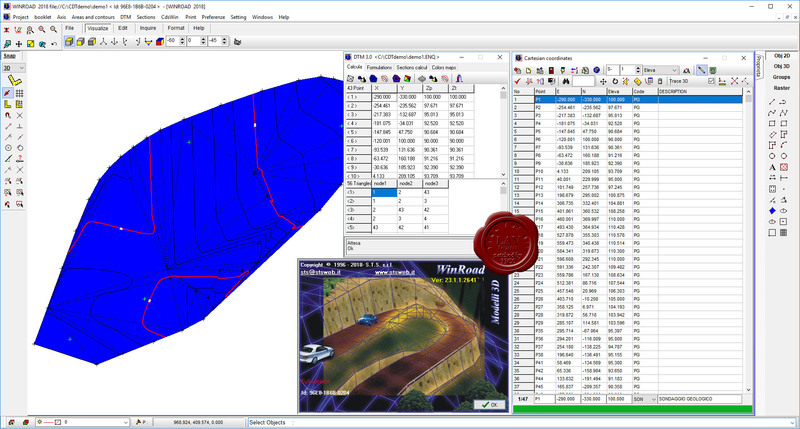 Site3D is a powerful software tool for the 3D engineering design of road schemes and infrastructure. Comprehensive facilities include tools for road placement in horizontal and vertical, automated junctions and roundabouts, varying carriageway width, spiral curve transitions, super-elevation, interface grading, earthworks, ponds and drainage.